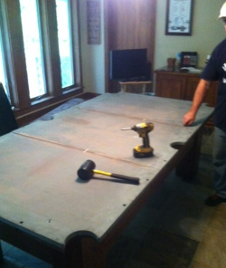 Receive helpful furniture assembly and set up services from ABOUT THE MOVE. Let us handle all of your moving needs while you sit back and be the boss. At ABOUT THE MOVE Moving Services, our team provides assembly and set up of all furniture, including desks, entertainment centers, beds, kitchen tables, and much more. 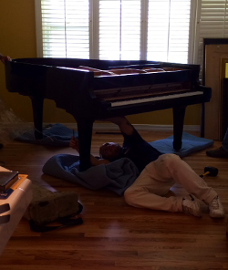 When we handle your move, we come to your location prepared with all the necessary tools and equipment needed to disassemble or reassemble your furniture in a timely manner. Also able to disconnect and reconnect most appliances. If the customer asks us to put their household furniture together even though we didn't take it apart, that will not be a problem. Anytime we handle a move we break down and disassemble the furniture, unless it's already apart, and then reassemble it at the destination automatically unless otherwise requested by the customer. Decrease the clutter in your life with trusted rearrangement services. Our team provides this service for individuals who need their household furniture rearranged, but are unable to do so themselves, such as people with health conditions, elderly people, and people who just don't have time to do it themselves. We will come to your location prepared to do whatever you ask of us, our team is at your command, and we will fulfill all your moving needs until you have complete customer satisfaction. Contact our moving company to enjoy our exceptional furniture assembly services.